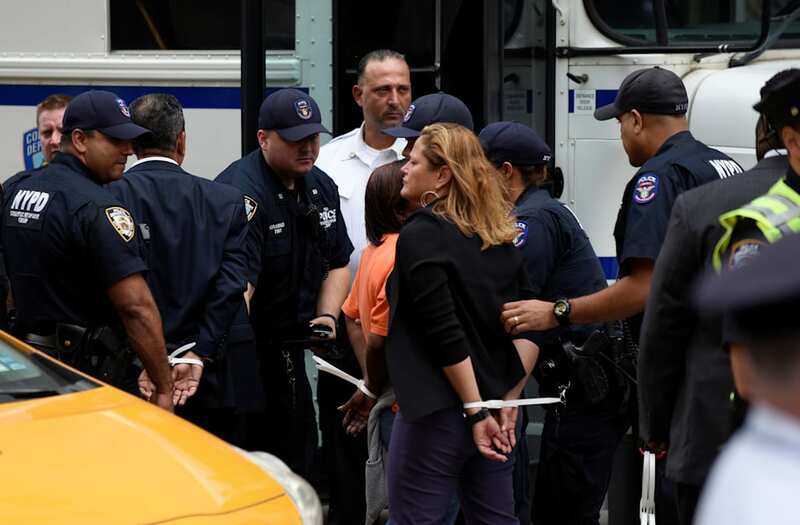 Three Democratic congressmen were arrested Tuesday while protesting President Donald Trump’s immigration policy outside Trump Tower in New York City. Democratic Reps. Luis Gutiérrez of Illinois, Raúl Grijalva of Arizona and Adriano Espaillat of New York were taken into custody while demonstrating on behalf of young undocumented people in the United States, according to the Chicago Tribune. The three lawmakers were advocating for the passage of a “clean” vote on the DREAM Act, which would provide a path to citizenship for people who were brought to the United States as children by their undocumented parents. President Trump announced in August that he would end the Obama-era Deferred Action for Childhood Arrivals program in six months if Congress could not come up with a legislative replacement. Last week, top Democrats met with Trump to negotiate a deal to pass the DREAM Act in exchange for increased border security. Following the meeting, Trump gave conflicting accounts about the details of the alleged deal, which stymied progress. But immigration activists were leery of any deal that would trade protected status for one group in exchange for additional border enforcement, which often creates problems for immigrant and nonimmigrant communities living near the U.S.-Mexico border. Similar deals in the past have increased the size and scope of U.S. Customs and Border Protection at such a rapid pace that the agency is now larger than the U.S. Coast Guard and ripe with abuse. Advocates argue that lawmakers should instead push for a vote on a “clean” version of the DREAM Act that did not include any increased border security. This is the second time Gutiérrez has been arrested in 2017 while protesting immigration policy. Espaillat, who is the U.S.’s first formerly undocumented immigrant to ever serve in Congress, has also attended multiple Trump protests in New York City since the election.